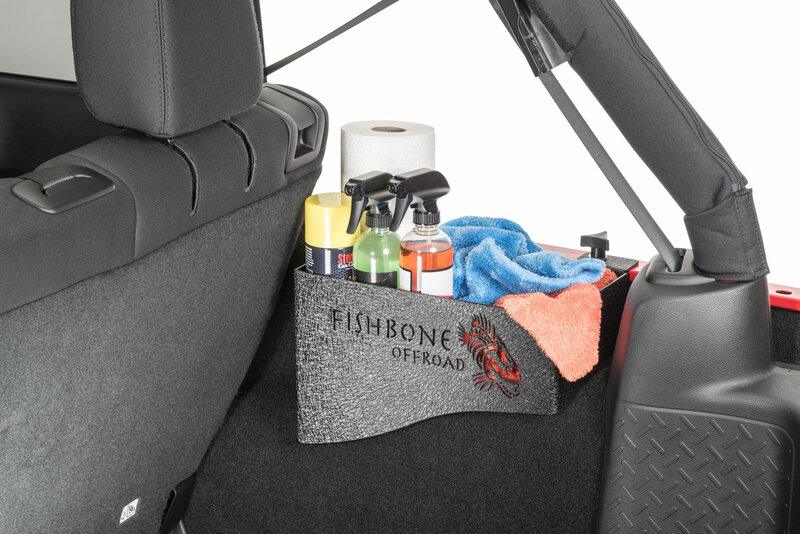 Store the small objects rolling around in the trunk of your four door Jeep Wrangler JK with the Fishbone Offroad Wheel Well Storage Bins. 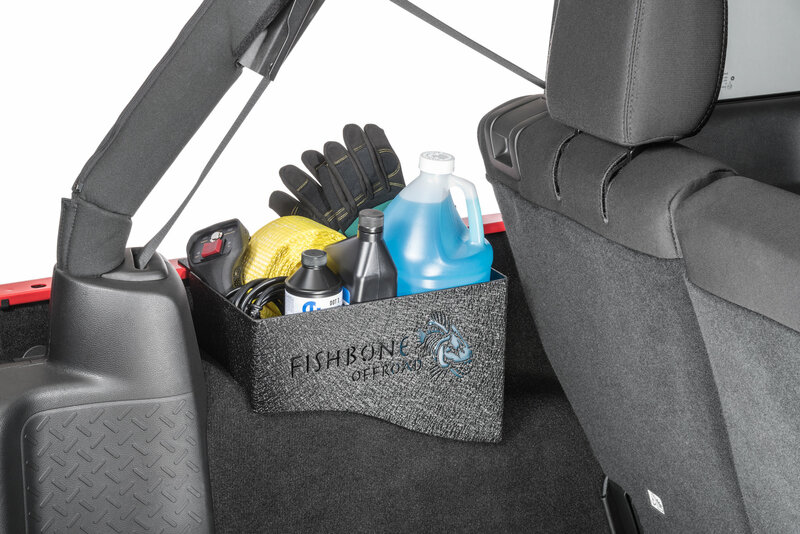 Use the dead space above the wheel well to make your cargo area more organized. 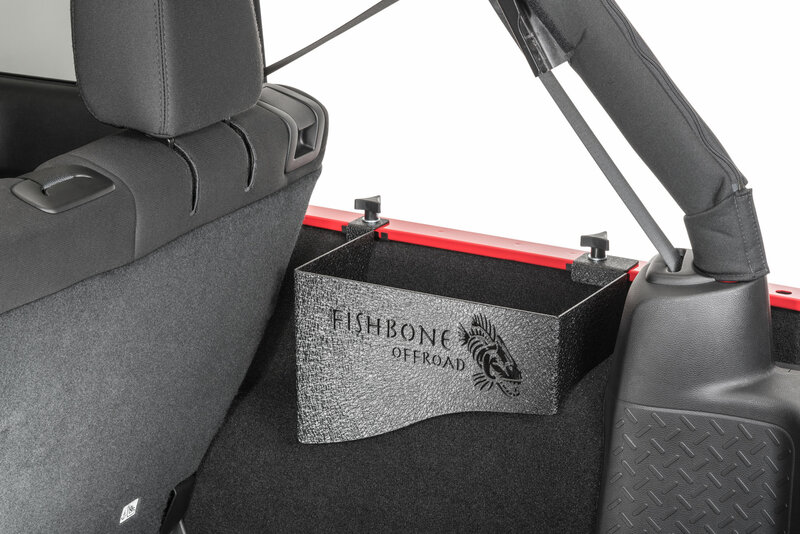 These storage bins can be attached to your Jeep with your Hardtop, Soft Top, or no top at all. Simply use the included hardware to screw these storage bins into place. Jeep Wrangler Unlimited JK: These will fit any four door JK, regardless of top or trim options. Sold as a Pair: You will receive a storage bin for the rear wheel wells on both the driver side and passenger side. Rugged Design: These storage bins are made from steel plate and, finished in a durable textured black powder coat.